Speaking for those without a voice. Here at ELM... our rescues are our inspiration. We learn from them, admire their acceptance and follow their lead. We don't discriminate and we don't judge. Some come to us healthy and socialized, others need urgent care and others have no trust for humans. We spend countless hours bottle feeding, administering medications, providing food and fresh water, clean litter boxes, all on top of the constant running of our washing machine. When we aren't able to provide assistance for whatever the reason, we offer many alternatives for care or rehoming in the GTA. We spend countless hours researching, volunteering at our vet clinic, plus we attend other venues to further our knowledge on any new developments or gain valuable information that would be a huge benefit to not only our rescues, but to our ELM Family as well. We do this as mothers of children, working full time, and battling our own private matters. We are a huge advocate for Mental Health Awareness and have often been commended for our care and ongoing support to our adoptive families and even those who have adopted elsewhere. With all that has been said however, we are nothing without our supports; our extended family, our village, the roots of ELM that keep us firmly planted and standing tall. Every Life Matters Cat Rescue is a Non-Profit Cat Rescue. While we are small, we mean big business. We are all about proper vetting and providing certificates of vaccinations and sterilizations. We don't take short cuts when it comes to our cats. All cats have necessary vet care and stool testing to ensure optimal health. We do not receive any funding from the government and rely heavily on donations and the good will of our supporters. All of our felines are current with their vaccinations (including vaccinating against Feline Leukemia (FeLV) when possible), deworming with Revolution and/or Milbemax, sterilized if age appropriate (6+ months), plus any necessary medical treatment required to bring them to optimal health. You will receive the health records of your rescue cat(s) or kitten(s) in addition to full disclosure with our Veterinarian. All our cats and kittens are held in isolation for a minimum of 10-14 days to ensure no viruses are brewing as many infections are brought on by stress (moving homes, being in a high kill shelter, plus even from the transition being a stray to suddenly being an indoor cat/kitten. Our kittens and cats are socialized with toddlers, teens, dogs, and many other common family sounds from the home. ​*It is the sole responsibility of the adoptive parent(s) to provide transportation to and from the Hamilton/Burlington SPCA for their adoptive kitten(s) spay or neuter appointment. All our rescues have current vaccinations based on each individual cat or kitten's needs. All cats and kittens are Microchipped if age appropriate. Our adoption fee is an essential part of helping to offset a portion of the costs involved in keeping our rescues medically healthy along with providing them with a diet that is rich in Taurine. 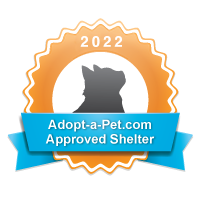 This token adoption fee is payable upon transfer of the adopted kitten/cat. Payments are accepted via Electronic Money Transfer (EMT) or Cash. Deferred payments or partial payments are not accepted. *It is the sole responsibility of the adoptive parent(s) to provide transportation to and from the Hamilton/Burlington SPCA for their adoptive kitten(s) spay or neuter appointment. Because we are a non-profit organization, we rely heavily on the generosity of others. We are happy to accept any form of donation; be it blankets, cat accessories, food, cat litter, gift cards, or financial donations. Your donations are 100% guaranteed to be put right back into the care of our rescues. Thank you for taking the time to visit us and feel free to send us an email if you have any questions at all. Cricket is a sweet 4-year-old girl who would love to meet her purrfect companion! After years of being tormented outside in her own colony, Cricket has finally found that being inside is much nicer than braving the cold air! She has turned into a lovely and pleasant girl who thrives on human affection. She is a shy, non-dominant cat that would do well in a mature home with or without another non-dominant feline family member.